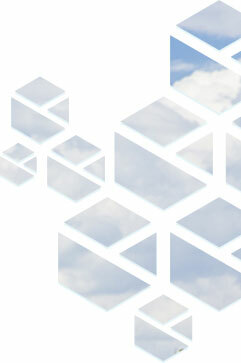 TGS-SDC enables less experienced users to access the power of GIS. With P2 SDC, you automate recoding of latitude/longitude, metes and bounds, and survey systems such as Jeffersonian Survey, Texas legal descriptions, and offshore areas. Visually integrate business information with related spatial data, facilitating better decision-making. P2 SDC adapts to varying business workflows and eliminates separate storage of spatial data in multiple shapefiles or databases. 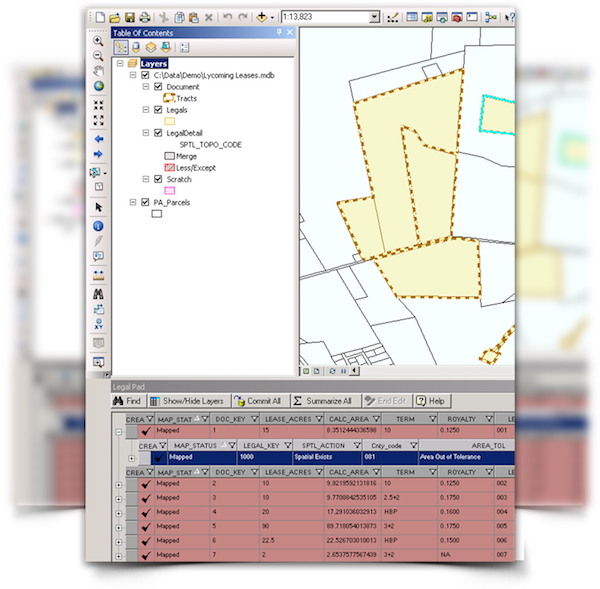 TGS-SDC creates and manages GIS features representing land system data for leases, contracts, and division orders from existing data. 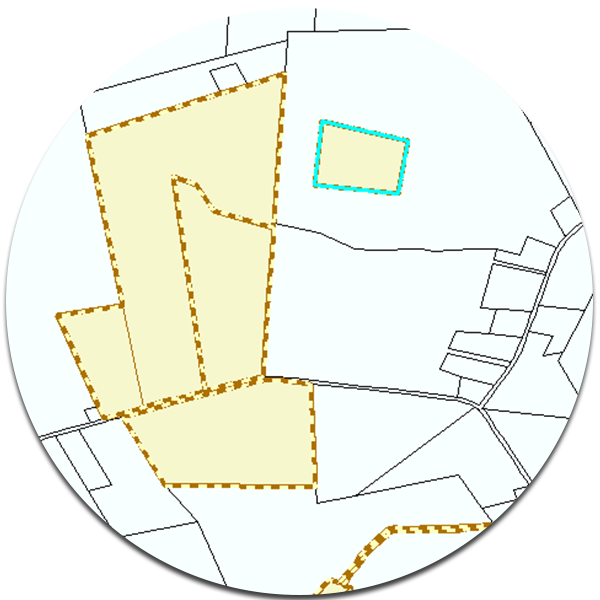 Working with TGS-SDC, you can execute a wide variety of GIS functions, easing the effort spent on mapping and managing your land asset information. 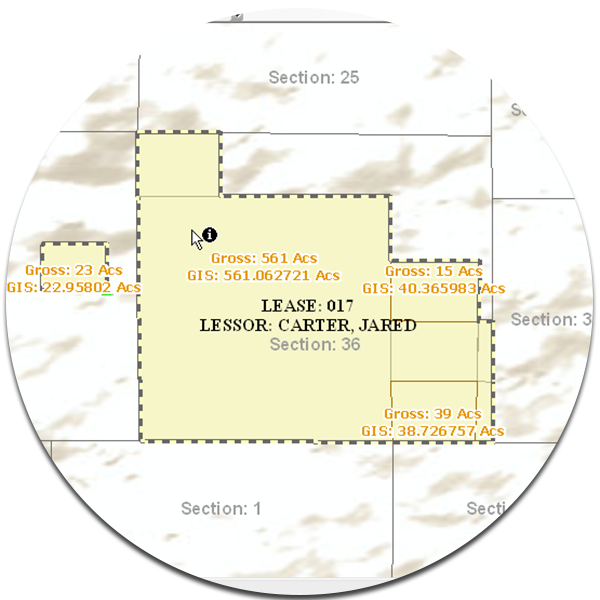 Map and manage your land asset information with ease. Consolidate and streamline your business workflow while using your geodatabase to store complete spatial data for related land assets. 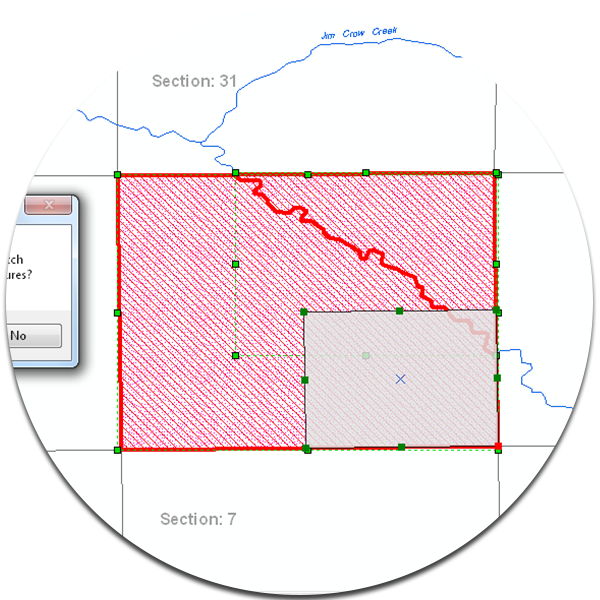 Edit spatial features using ESRI ArcMap tools and the powerful TGS-SDC spatial editing tools. Build hundreds of polygon features automatically. Perform all spatial editing in your own personal geodatabase. 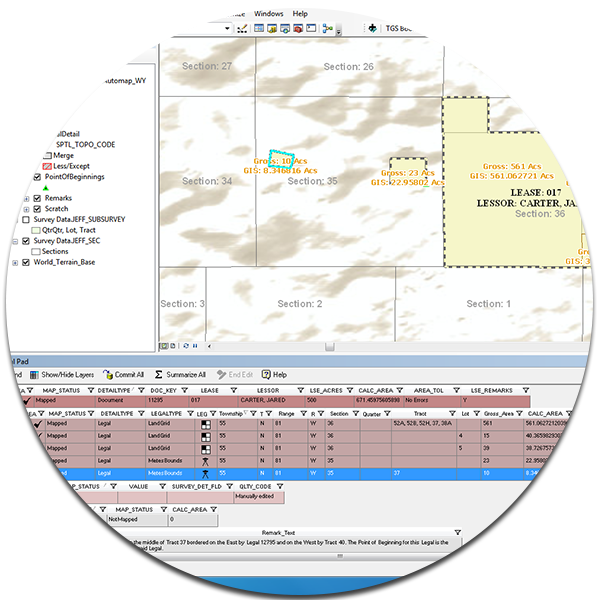 Save your spatial data to a central geodatabase, a repository of information used by multiple GIS technicians.